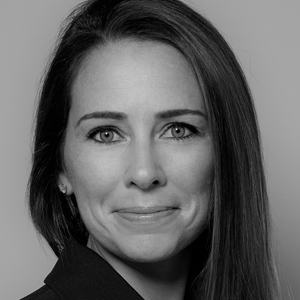 Lacey Conway is the president and principal broker for Latter and Blum, Inc. A New Orleans icon since 1916, Latter and Blum is a full-service real estate brokerage with a growing footprint throughout the Gulf South. Over 3,000 agents are part of the Latter and Blum family. The company closed out 2017 with a total sales volume of $4.5 billion and is currently ranked as the 34th largest real estate broker in the United States. "Our managers and our agents are our best advertisers. We have to do a better job of telling our story, and that's simply about the people that make up our company—they make us what we are." Conway has been active in the real estate world since first licensed as a salesperson in 2005 and as a broker in 2015. This year, Conway was recognized in Biz New Orleans' annual real estate issue as a top influencer in the market, and participated in RISMedia's 23rd Annual Power Broker Forum at the National Association of REALTORS® conference in Boston. During the Forum, Conway pointed to her agents as the most invaluable element of her firm's success. "Our managers and our agents are our best advertisers," she said. "We have to do a better job of telling our story, and that's simply about the people that make up our company—they make us what we are." Licensed as a broker in Texas, Louisiana and Mississippi, Conway graduated with a Bachelor of Science from Boston University, has an MBA from the University of New Orleans, and holds a CCIM designation.